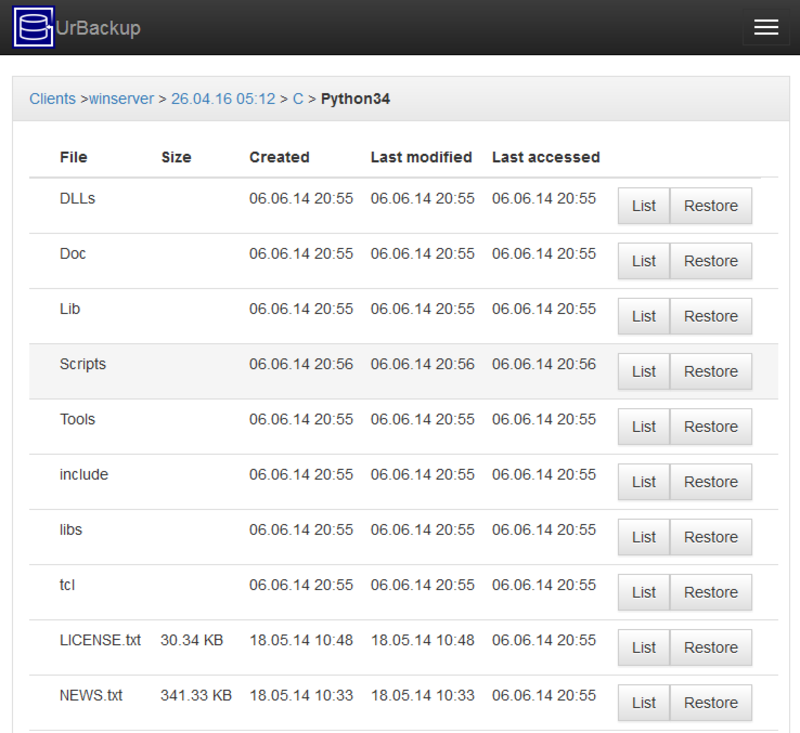 UrBackup is an easy to setup Open Source client/server backup system, that through a combination of image and file backups accomplishes both data safety and a fast restoration time. File and image backups are made while the system is running without interrupting current processes. Your files can be restored through the web interface, via the client or the Windows Explorer while the backups of drive volumes can be restored with a bootable CD or USB-Stick (bare metal restore). 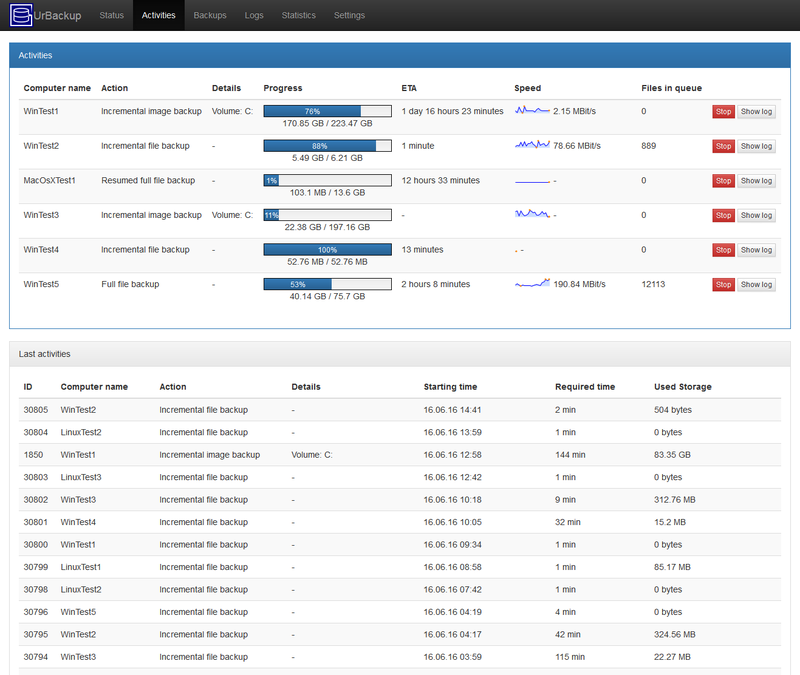 A web interface makes setting up your own backup server really easy. For a quick impression please look at the screenshots here. Currently there are over 7000 running UrBackup server instances (with auto-update enabled) with some instances having hundreds of active clients. Image backups only work with NTFS formated volumes and with the Windows client. The drives must be MBR or GPT partitioned, the partition must be a primary one. Dynamic volumes are not supported. Mirrored dynamic volumes work, but are not officially supported. Backup to VHD files only works for volumes with a size of less than 2TB. ppc version is work! Thank you! Installed this module and when launched it says there is an update available to 2.2.7. If you find the time, could you perhaps update to version 2.2.8 please?